To get you on the right track to nurture and convert potential customers, we’ve provided a list of the top lead generating pages your site must have. Your homepage is the first impression people have of your brand. You’ll want to make sure it’s eye catching and represents the brand you want to display. If you specialise in something in particular eg. apartments or acreage houses or even just your area, make sure that it is clearly visible and your visitors can get a good idea of who you are as an agent. The design and layout of your page is crucial. 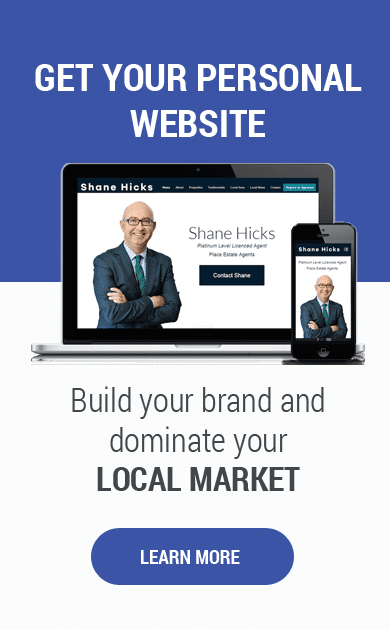 You have a professional brand offline so it is essential that your website is professionally designed and matches that. Make it easy to contact and find more about you. When people come to your website the majority of time they are looking for more information about you and then to get in touch with you. You want to make it as easy as possible for people to find this information. 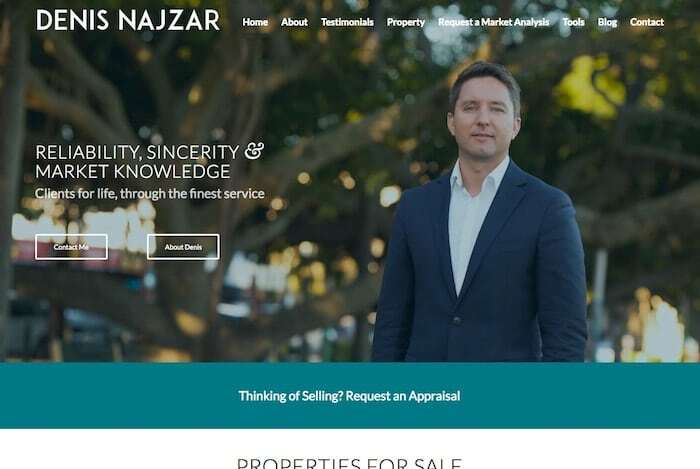 Denis Najzar has the two options available as soon as you land on the website. Entice visitors to delve deeper into your website’s content with things like profile videos, blog posts and listing photo’s. This engaging content will get people to stay on your website longer as they consume the information. As they are reading and watching they are being pre-sold on why you are the best choice for them as an agent. 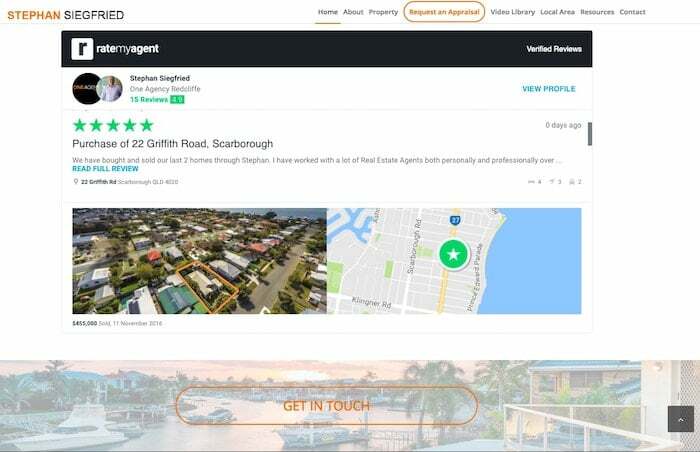 A profile video of yourself is a great way to engage your visitors and show more about yourself as an agent. The ease of use of your site is essential. People need to understand how to navigate around and find what they are looking for as soon as they load the website or they will leave. Make sure your menu is clear and easy to navigate. User experience is so important that Google even use it as a ranking factor to decide who will appear on the first page. Your site should flow easily and have multiple calls to action to generate leads. 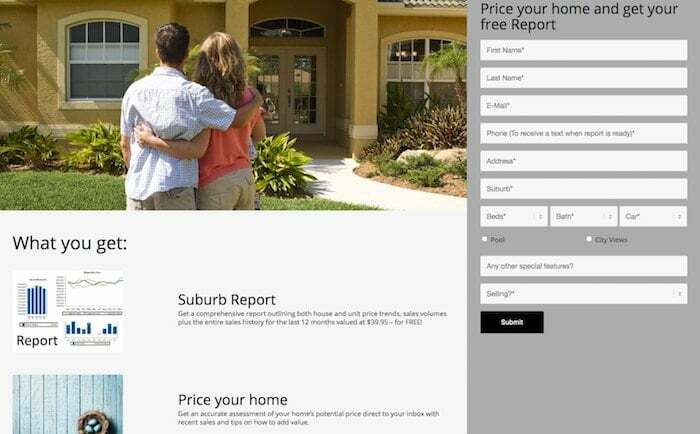 On your homepage you should have clear options for people to get in touch with you and to request an appraisal. 2. About Page – Why You? However most visitors will want to learn more about your story and why you are the best agent for the job. This section should strike a balance between highlighting your skills as an agent, and how you got your start in real estate. People want to relate to people they do business with. This section allows you to give people more context about why you are the best agent for the job. 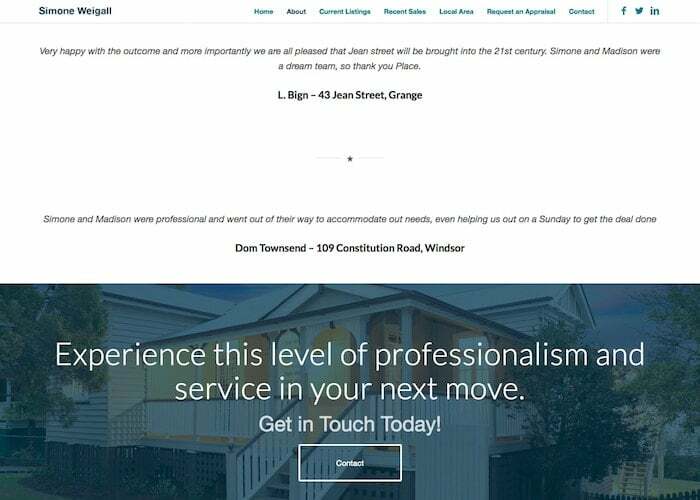 On this page you can include some awesome results you have gotten for clients, your local community involvements and how you market their property. It is important to have clear ability for people to contact you and request an appraisal on this page. 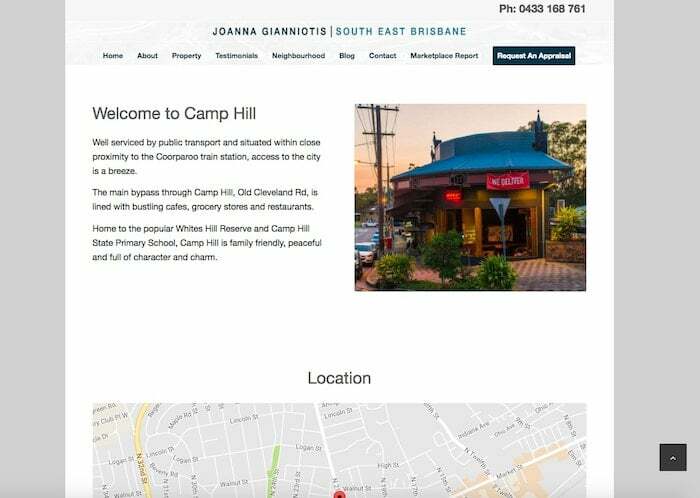 Below is an example of Joanna Gianniotis’s “About” page or “Why Joanna” page. You can view the actual page here. If the idea of blogging worries you, fear not. Blogging is the number one tool for driving traffic to your site–even ahead of SEO (Google traffic), and a great way to improve your real estate marketing efforts. A blog is a great way to improve your marketing efforts and give’s you a platform to communicate with your audience. A blog allows you to provide updates on changes within your local market or current happenings in your community. Consistent blogging shows people that you’re an authority figure in real estate in your area, which will ultimately generate more business for you. The best part? 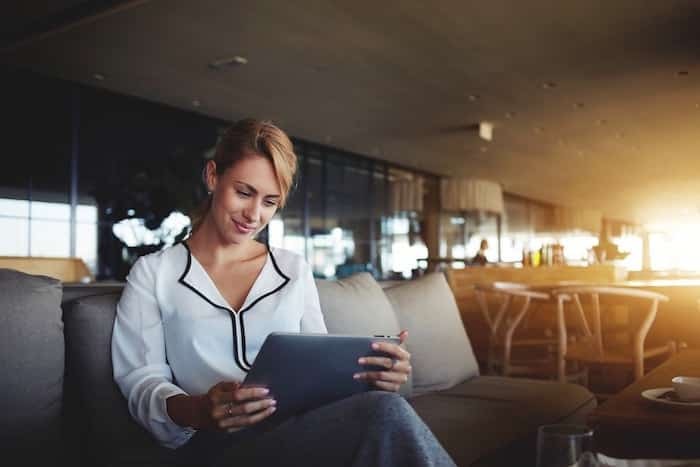 Since blog posts are usually written in a casual style, posting regularly is a great way to let your personality shine through while connecting with your leads. Check out this article that highlights how real estate agents should be using a blog in 2017. Community pages are a place to show everything that is great about your area. Show the best businesses and attractions, and highlight the type of lifestyle that is associated with the area. Show the closest schools, public transport, and medical facilities. Think about the types of clients you normally work with, and which demographic they fall into. Then tailor the content to their interests. Images of the local parks, restaurants and iconic houses are awesome on these pages. Include the latest real estate statistics on these pages and have a call to action for people to request an appraisal. The content you are putting out on your local area pages show that you are a local, just like your vendor, that knows what’s going on in the community and understands the local market. These pages will become some of your most used pages for leads. It’s vital to engage people through attractive images and video, along with the data to make purchasing and selling decisions. These pages are great for generating you leads. If you are talking to somebody and one of these comes up it is a great way to subtly guide them back to your website to get the information. Then once they are on your website they will have the opportunity to see more about you, your testimonials and past results. This strategy works incredibly well and is a great way to drive traffic to your website and leads without being pushy. Your prospects will be interested in this page when they are thinking of selling. Have a field to capture their details so as you can contact them for their appraisal. A layout like the one below works well. They have included a video testimonial of an awesome result that they got for a client. This will help to encourage people to fill out the form. If you don’t have a testimonial video don’t worry. A simple page that just says “Find out an how much your home is worth” can work well too. 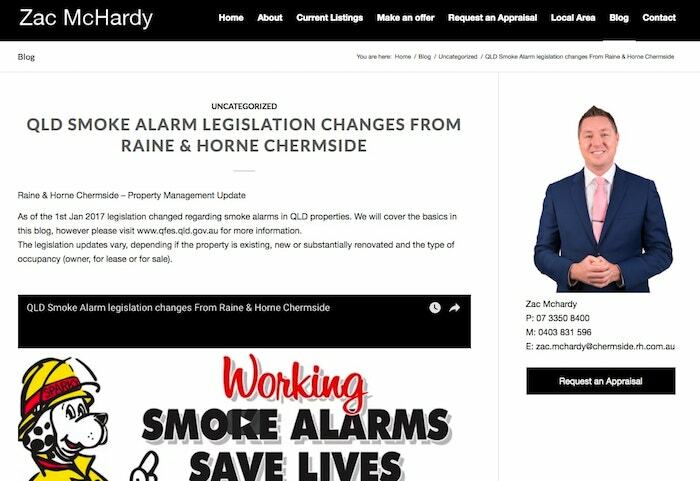 After people have read through your website they may want to keep up to date with you in the future as they may not be ready to sell yet. You can then send your leads market research, testimonials, or your latest blog posts. Give people the option to sign up to your database. The more helpful information that is on your website the more likely people are going to be to sign up as they will be hoping to receive more of that helpful information in the future. You can even incentivise people to sign up in return for something. Eg. you could shoot a quick video on the 5 things you can do to add $5000 value to your house. For people to get the information they need to sign up to your newsletter. 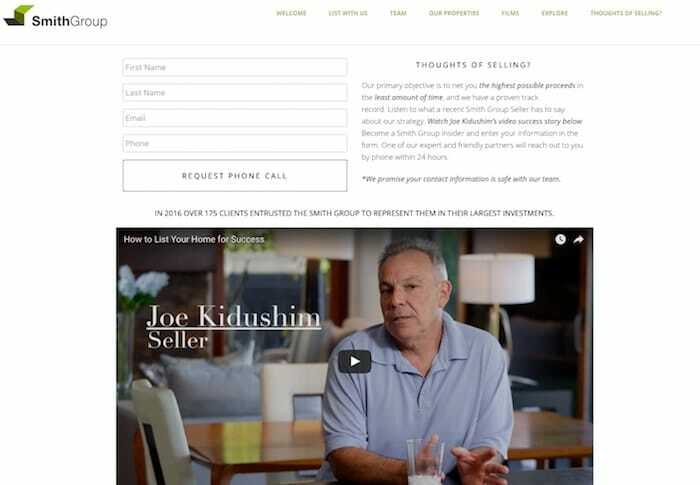 Having a generic landing page like the one below can work really well to generate leads. When you are doing direct marketing, vendors can prefer to enter their details into a website that looks like it is independent. A generic landing page like this can be a great introductory step to you. These pages can be really cheap and simple to set up and work great. A simple landing page like this works really well when combined with Facebook advertising and can bring in a mass of leads for a very little ad spend. There’s a reason people ask the opinions of their friends and family about the newest restaurant or bar before they try it out. People want a relative guarantee that they’re not wasting their time or money and will have a good experience. Real estate agents are no different. Genuine reviews and testimonials from happy vendors will go a long way to multiplying the amount of leads you receive. Video Reviews, from clients after you’ve gotten them a great result, will provide you with social proof and allow people to make an emotional connection to you. Written Reviews give you the chance to include blurbs on your website about people’s experiences with yourself and your agency. It should go without saying, but you’ll want to include the most recent and positive reviews. Add call to actions throughout your reviews to generate more enquiries. There are lots of ways that you can increase your current amount of leads coming in. Adding some of these pages to your marketing strategy won’t take you a lot of effort but the results long term will be great. 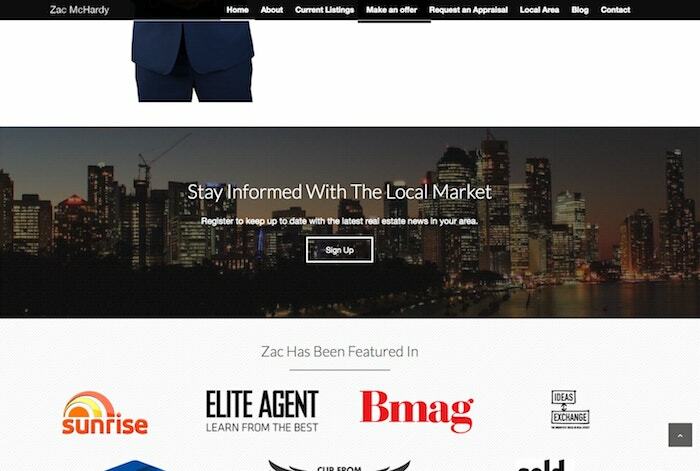 What did you think about these real estate lead generation pages? Let me know in the comments section below.